Jason was lucky enough to grow up in a farming family. 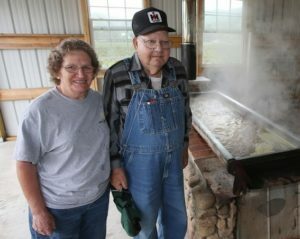 His grandparents (pictured to the left) taught him how to make molasses. 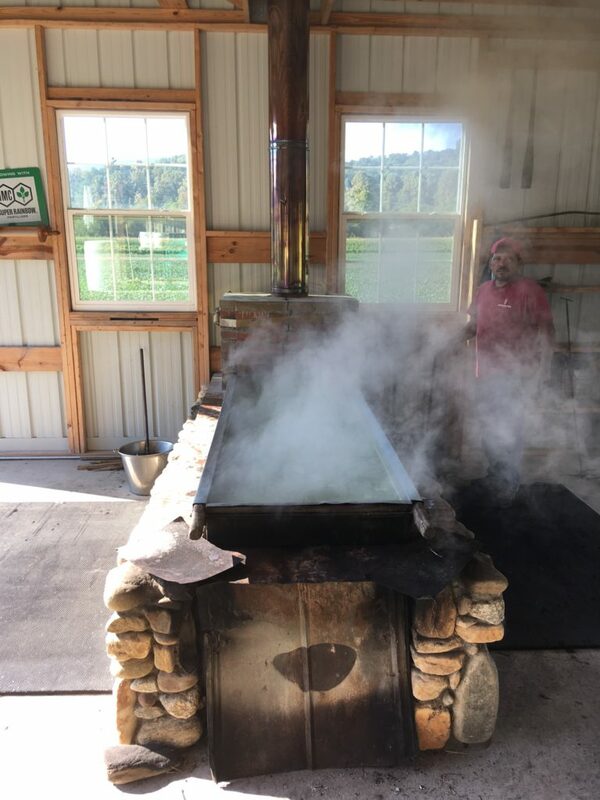 He and his family made molasses every year and in 2014 his grandfather gave Jason all the equipment to carry on the tradition! Since then, Jason has done his best to do everything his grandparents taught him so he can continue the tradition and pass it onto his three boys. 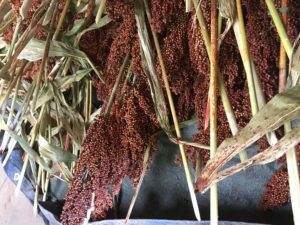 It is a long and tricky process, but our crew, Jason’s family and our neighbors love it! 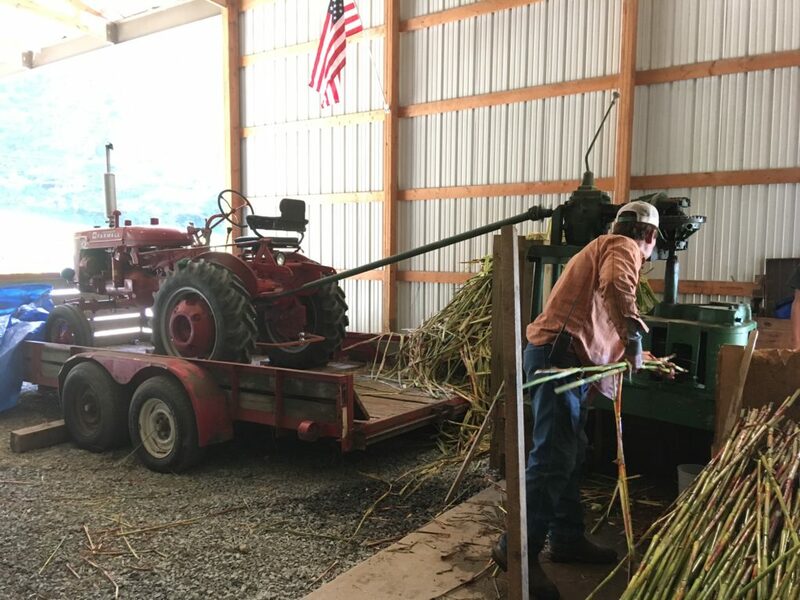 The process begins by hand planting about 1 acre of sugar cane, each seed has be be approximately 2-3 inches apart from each other. Once the seeds are in the ground, the crew has to cover it up with a hoe. 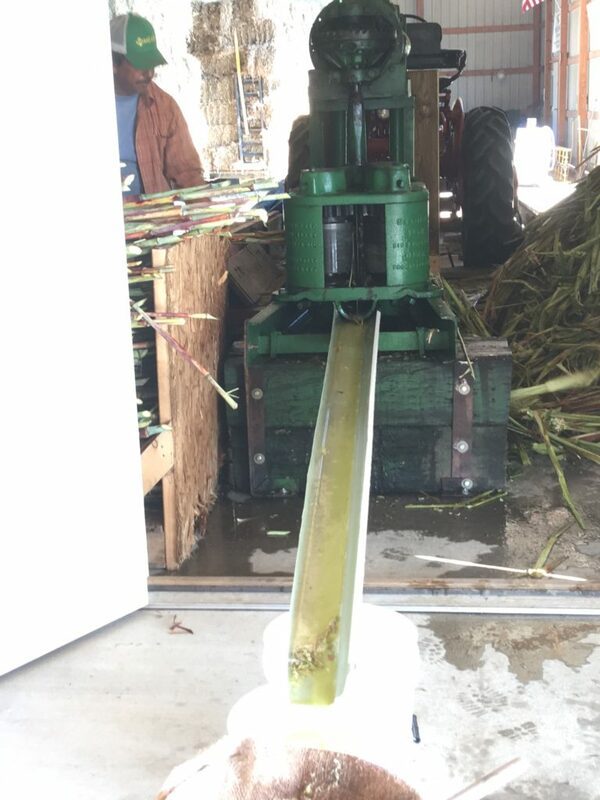 Sugar cane gives us about a 2 week window to harvest. The crew must first make sure the sugar levels are 12 or higher. Once they get it to the perfect amount, they begin harvesting it. 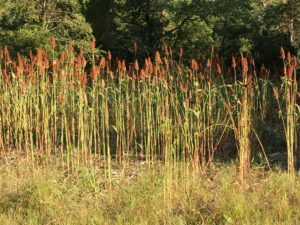 They cut the cane at the bottom, remove all leaves and then cut the seed pods off the top to store for next year. 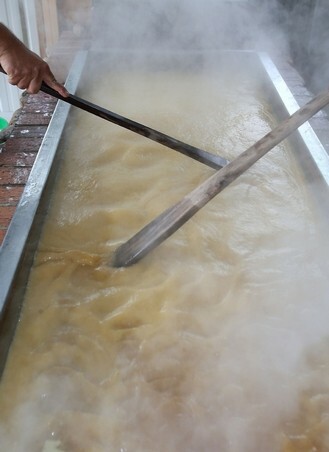 Once all the equipment is ready and set up, they begin pressing the cane for juice. 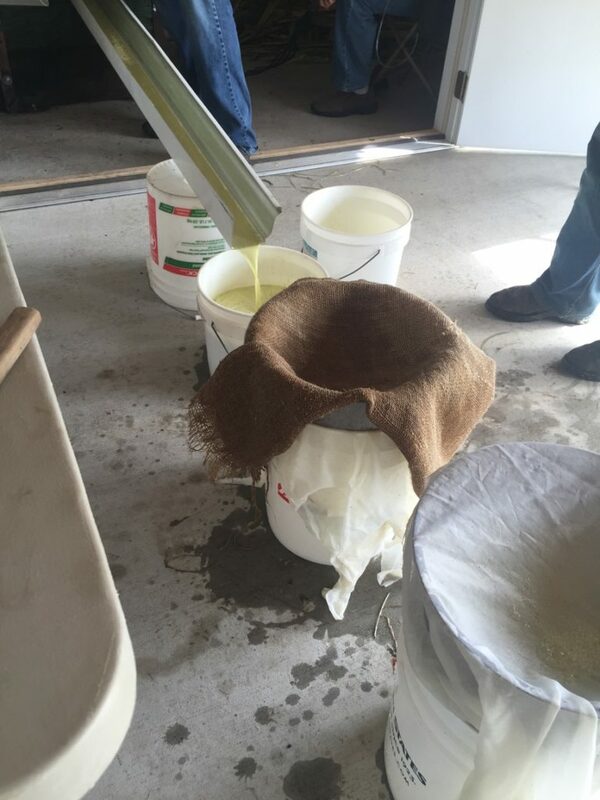 Once it is strained, the crew uses three different cloths to strain. The first cloth is burlap then the last two are different cheese cloths. 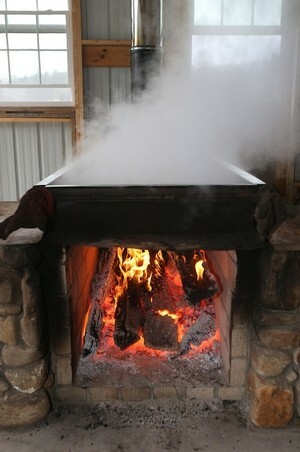 They then pour the strained juice into a 60 gallon pan that cooks over a hot fire; it needs to sit and cook for at least 6 hours. 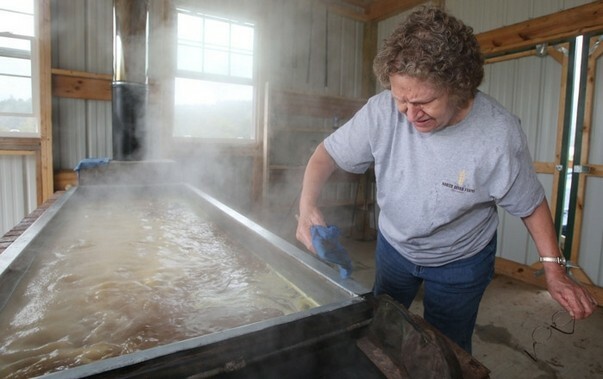 During this time someone has to stay with it and wipe the edges and stir to make sure it doesn’t stick to the pan. 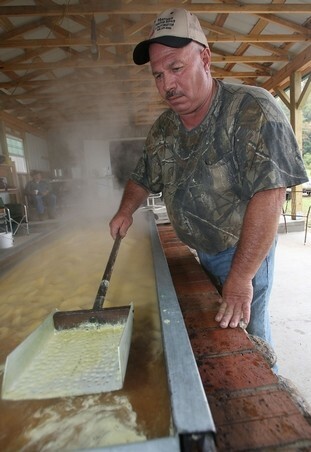 Once the 6 hours is up, the juice is strained with a cheese cloth and placed in a milk can. 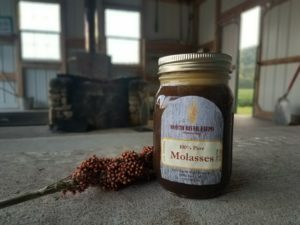 After this is done, someone must then carefully use a dipper to put the molasses into pint jars with labels on it so they are ready for retail! It is a long and arduous process, but definitely worth all the time and hard work! 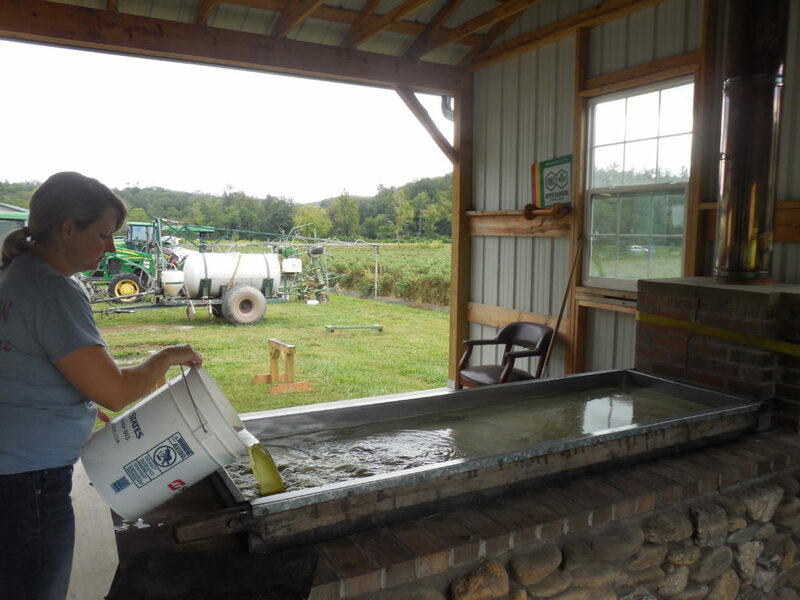 We do open our farm up for anyone who is interested in watching the process every year. It is a very unique and rare opportunity and we are all happy to show/teach anyone who is wanting to learn the process!